The following toy example shows a memory leak that happens when a programmer forgets to unregister an event listener. None of the objects referenced by the event listener can be garbage collected. 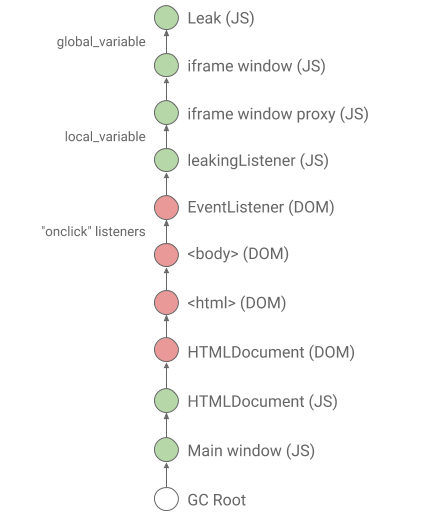 In particular, the iframe window leaks together with the event listener. // Do something with `local_variable`. // BUG: forgot to unregister `leakingListener`. Figure 1: Retaining path of an object leaked via iframe and event listener. Figure 2: Retaining path in Chrome 65. 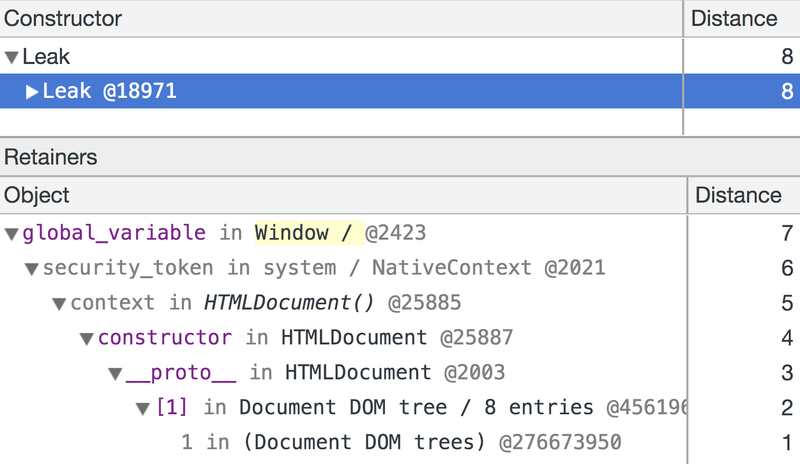 Only the first row is precise: the Leak object is indeed stored in the global_variable of the iframe’s window object. Subsequent rows approximate the real retaining path and make debugging of the memory leak hard. Figure 3: Retaining path in Chrome 66. Try it out! We are happy to hear your feedback.